Maybe it was a broken link, a misspelled URL or some page you wrote back in 1999 that just needed to go. 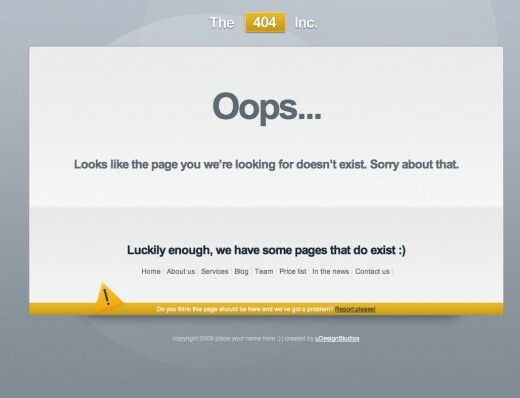 404 error pages are usually one of the internet’s great annoyances. Either you mistyped something or some website hasn’t fixed its broken links. Sometimes it may not be your fault visitors landed on error pages, but being able to communicate and direct them back to the home page is as good as a second chance to re-engage a visitor. Here we have collected from themeforest some cool 404 pages just to inspire you, well not all are very informative some are simply an image or just with funny message but still it goes with the site itself. Save me is an unique new error page, that focuses on helping the user through the frustration of getting a website error, in an user friendly and intuitive way. Custom error pages with a slightly different look and feel, previewed with a grunge feel, however very easy to configure to your own style. 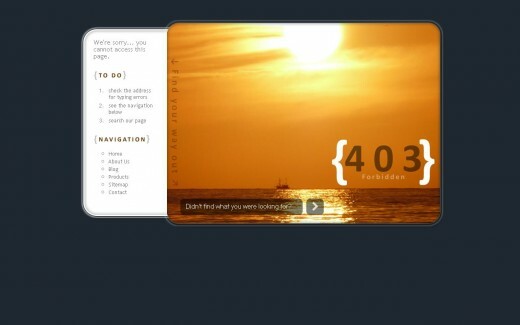 Current 404 template was created with the aim of improving user experience on 404 pages. It not only informs user about possible causes of error, but also provides options for further navigation so users are not lost on yor site. 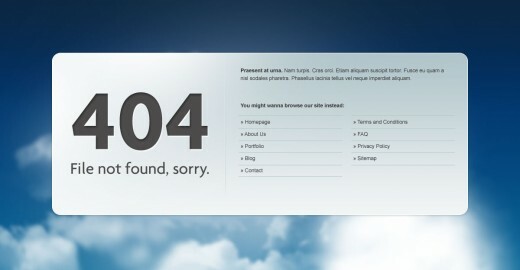 Here is a simple, nice way of representing 404 error page. It is designed in the form of a blackboard with 404 written in a scratchy way and has clean fonts being used to write the rest of the content. 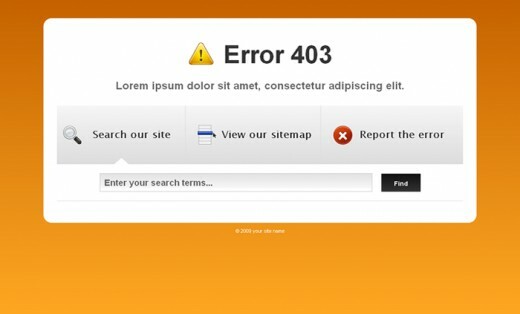 These template pages can use for 404 errors on your web site. It comes by 8 different themes. This is a JQUERY script that is simple, unobtrusive, no need extra markup and is used to display 404 error in fancy popup box on the current page instead of redirecting to 404 page. 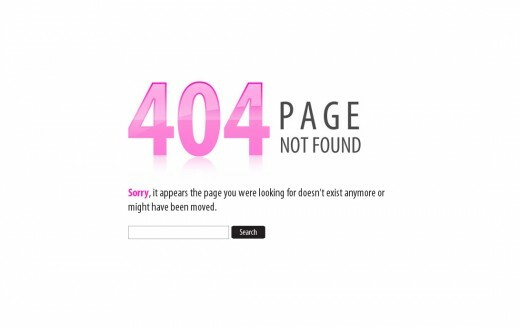 Make sure you don’t lose visitors – provide useful, helpful, informative error pages to keep them at your website! 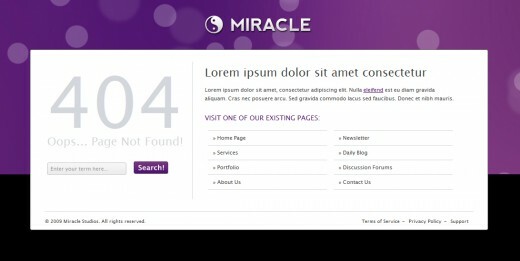 These template pages can be user for any HTTP errors on your website. It comes in 5 color variations (purple, blue, red, green and orange) and 5 error codes (401, 403, 404, 500 and 503). 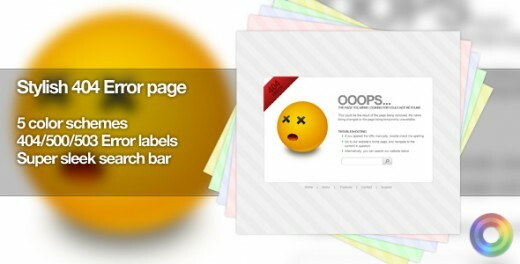 This bundle includes the five most common server error pages: 401, 403, 404, 500, and 503. It is easy and quick to customize. This is a very useful and adaptable error template which features jQuery animation and effects as well as an Ajax Error Report form in PHP . 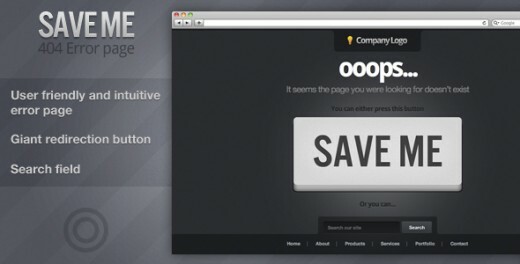 Error pages are often overlooked by many designers. No more ugly 404/503/500 pages! Produce the wow effect. 13. 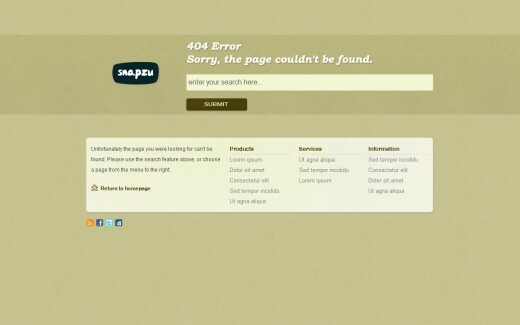 Sleek Server Error Pages – 404, 403, 500, More! This is a clean, web 2.0 design for website / server error pages. It is flexible and very easy to customize. 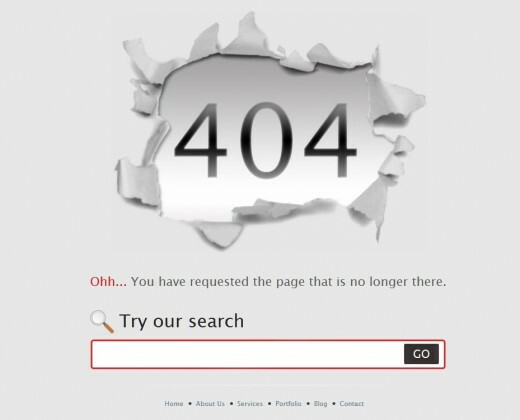 It comes with 5 of the most common error pages (404, 403, 401, 500 and 503) but it’s very easy to add more if needed. Sleek Server Error Pages - 404, 403, 500, More! 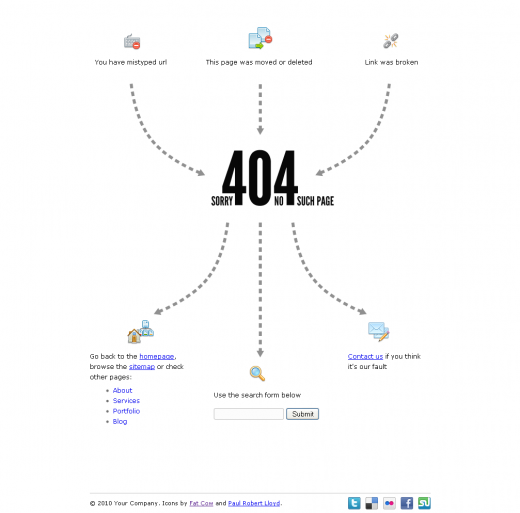 This is a nice, clean modern and solid template for your 404 page. It is designed to go straight to the point. It also has a place for navigation, so that user doesn’t have to click the back button. 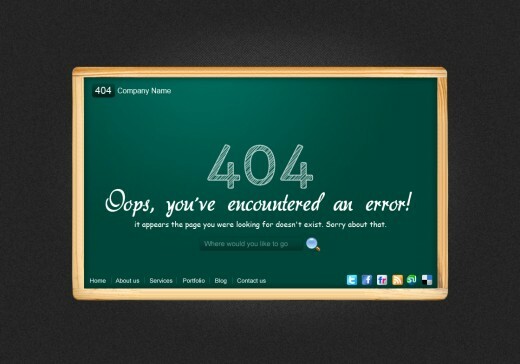 Beautiful 404 Error Page inspired by Idea Template. Site links included for better user experience. 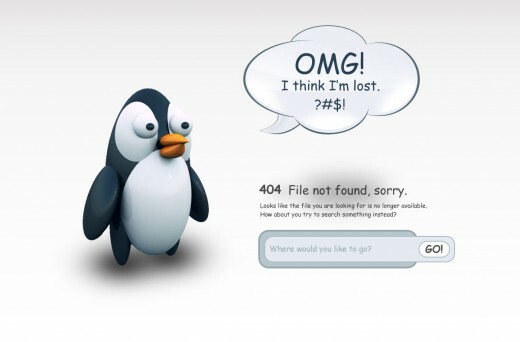 Funky Pingu 404 page. Suitable for every website. Give it a try! 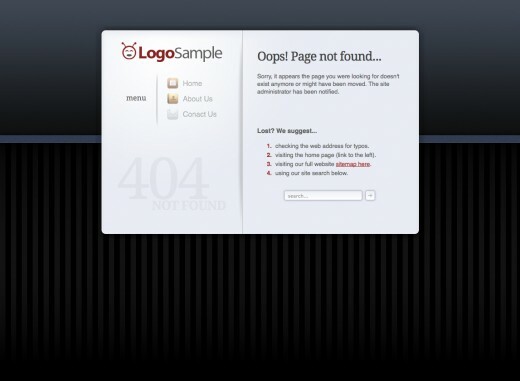 A Simple 404 Error Page in 6 Different Color Variations with there respective psd’s.